Welcome to my new followers! I’ve had several notifications lately that I have new ones, so thought I’d better step up and write something for you all as I have neglected this blog this year – life has been so busy! It’s also easier and quicker to whack stuff on Instagram! I love the instant nature of it all. It’s very visual (I have learned in recent years that I am a very visual learner!) And there are fewer words to have to think about! Follow me if you aren’t already! 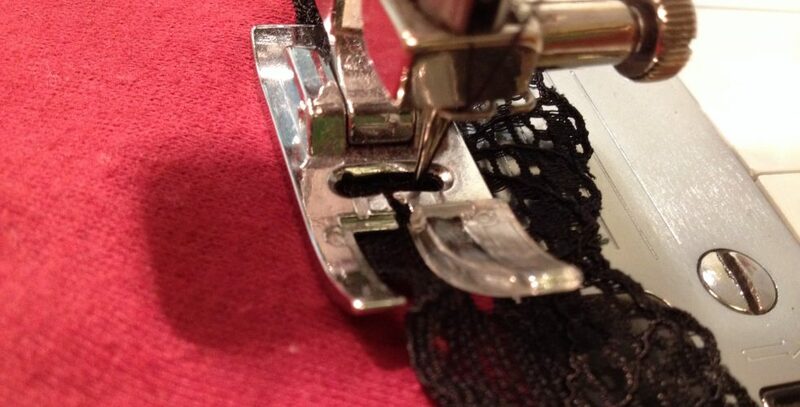 So, what’s been going on sewing-wise? I wanted to tell you about a great workshop I did in the spring with textile artist Ingrid Duffy. I went on one of her workshops last year and absolutely loved it so wanted to do another. This workshop was called the 30 Day Project and is to encourage daily creative practice to stimulate creativity and also foster mindfulness on a daily basis. I also wanted a more portable sewing project that I could: A) take to my monthly craft group and B) do in front of Netflix! This was perfect and I have met some lovely fellow creatives that totally ‘get’ my need for a sewing fix! We spent the day at Ingrid’s beautiful home on the Norfolk-Suffolk border. She can see the River Waveney from her studio, which forms the county boundary. It’s an inspiring landscape and a lovely place to work. I met some great people, including someone I’d met 15 years ago when I was doing my PGCE but not seen since – small world! We had an introduction to some hand-sewing stitches and worked on a sampler, and had access to a range of great books and the choice of a wonderful array of glorious threads and yarns. As part of the package, Ingrid gave us all a box with all the materials we needed for the month’s project – 30 linen squares and 30 wool squares (for backing). Within about a day of starting, I was hooked. I usually do only machine sewing, so slow stitching has been really good for me and I have loved it. It’s very therapeutic and stimulating at the same time! My chosen theme was Norfolk, and each day I stitched a square to depict something to do with Norwich (where I live) or Norfolk. I began by making a list of things I wanted to include (Norwich Castle, Colman’s mustard, etc.) but then got more enjoyment out of being a bit more spontaneous and just going for things that came to me each day. I have explored different stitches, techniques and embellishements and have loved the process. It’s really fun to write with a needle and thread, although you have to think about it! It made me empathise more with my primary pupils who are learning to join their writng! Posting to Instagram each day was exciting and rewarding, with lots of great feedback and followers (hello, you! ), as well as me discovering loads of other great people and their work! So, when it came to an end, I was really sad! I then decided to carry on with a new project – the next time it was just a journal of things I do, see, eat, etc. each day. I found time every day to devote to it (Ingrid suggests at least 15 minutes but it usually ends up as more because it’s so engaging!) I then progressed to making some stiched cards, which have been popular at craft fairs! I am thinking of what to do next, slow stitch-wise! Do you have a daily creative routine? Would love to see what you are up to if you have new projects on the go! And if you’re interested in what I’m stitching, please follow me on Instagram!